We're always used to hear about reckless driving and high speed when an accident occurs but this time the yellow Ferrari 599 GTO was simply parked in the wrong place in the wrong time. 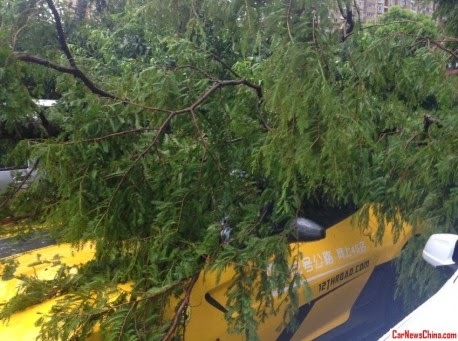 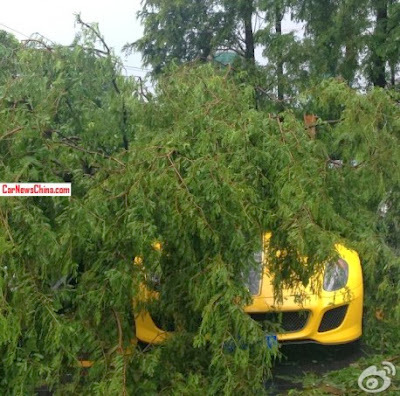 A massive storm took place in Shanghai and unfortunately the GTO got hit by a fallen tree. 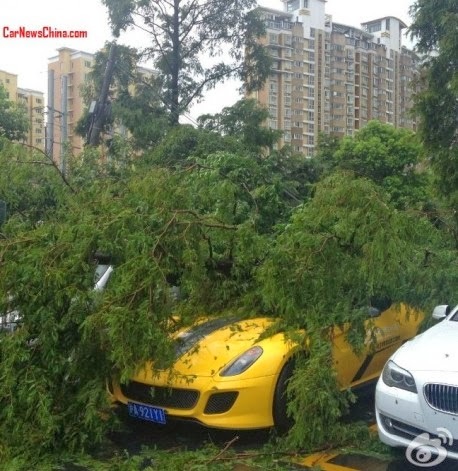 The pictures can't really tell if the damage is extensive but it's certain that the repair bill won't be cheap since it's a limited and expensive Ferrari.